EasyWork is an amazing Human Resource Management & Administrative Management System that allows SME company or organization to manage their integral work. 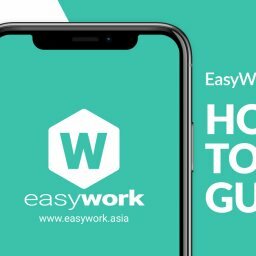 Here is a step by step guide to guide you on “How to add employees or team members into your company” with EasyWork. Step 1 – Launch EasyWork and tap on “Menu” on the top right. Congratulations, you have completed the step by step guide on how to add employees/team members into your EasyWork company profile. To find out more about EasyWork, kindly visit EasyWork Website. Welcome To EasyWork Guide EasyWork’s Calendar feature allows users to add Events and enable the RSVP function. To add an Event, simply tap on the “Plus” icon on the bottom right of your screen. An example can be seen below….